How to save money on groceries by menu planning -Easy tips to try! 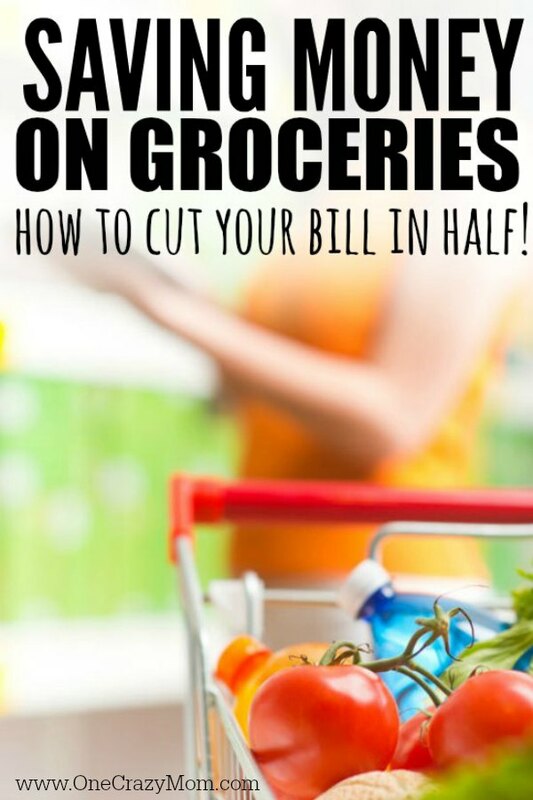 Join us on in our challenge of Saving Money on Groceries, where we are cutting our grocery bill in half. After you read each and every post and you implement these simple strategies you will cut your budget in half. Learn how to save money on groceries by menu planning. Cutting your grocery budget isn’t that hard at all. If you follow my strategic advice you can really save a lot of money. It’s amazing how food cost can add up when you are not prepared. Simply by getting organized and having a menu plan will allow you to save a lot of money! Reach each post below and implement the strategies and you will be well on your way to saving money. Menu planning will greatly reduce impulse purchases saving you even more money! It will also save time and reduce stress and chaos. Dinner time will no longer be stressful when you have a plan. I know it may seem daunting but just tackle one or two new tasks every day. Or even just one a week until you are finished with all of them. Don’t get overwhelmed if you can’t do everything all at once. It’s easy to get stressed and give up. Don’t do that! Break this down into bite size pieces. That will make the goal much easier to obtain. You will love implementing these ideas and seeing how much money you will save. Now if you are new to couponing, make sure you read our Couponing 101 series too. Menu planning saves time and money! Having a plan is a great way to get meal time under control. It’s so tempting to dash to a drive thru after a busy day of work, school and activities. This is especially true if you haven’t taken anything out of the freezer and have no clue as to what will be for dinner. Having a plan will help avoid this. As you make your menu plan, it’s a great time to note other activities and busy days or weeks. That is a great time to put a crockpot meal on the menu plan. It will be so nice coming home and having dinner ready and waiting. If you don’t have a crockpot or need a new one, I love the programmable crock pot for when I am am not at home. You can literally set it and forget it! It’s especially perfect for those days you will be out of the house. Just set it for the amount you need and it will cut off for when you programmed it. Plus, it will stay warm until you are ready to eat. It’s a great feature and one of my favorites. This is a great item to have to help in your meal planning. It may seem like a daunting task initially but truly it only takes a few minutes to meal plan. The time and money you will save is well worth the few extra minutes to plan out a week or even a month of menus. It also helps to keep a few handy items in the freezer or in the pantry. I try to always keep frozen chicken breasts in the freezer. They are so easy to throw in the crockpot for all sorts of recipes. Another tip is to make a few freezer meals. I have found it doesn’t take any extra work to make an extra dish for the freezer when I’m already making one. I like to have Freezer Cooking Sessions. You can find recipes and instructions for 16 meals here. This is a huge time saver. I also recently made Pizza Casserole Recipe. This is a really easy and delicious freezer meal. Planning your week will help everything go so much smoother. If you do this every week, it really saves money and time. Once you know how to save money on groceries by menu planning, you will see that it is not difficult at all! Sit down and work on meal planning. Make your grocery list and that week menu based on sale items. Local grocery stores have a lot of great deals. If you do grocery shopping based on what is on sale at the grocery store, it will really help with meal planning. The savings will be incredible. Once you have your shopping list together, stick to it. Don’t buy pre cut items as these cost more. It only takes a few extra minutes to cut up everything for the week. Make this a part of your meal prepping sessions each week. Keep in mind that each grocery store tries to lure you in with what is on sale in hopes you will buy other items that are not. Items that are at eye level are not always the best deal. Don’t give in to impulse purchases at the checkout line. Do I need a meal planner? You can certainly just use a note pad or jot it on your calendar. However, I find it helpful to have a dedicated space for menu planning. You can purchase a special meal planning notebook that make it really easy to just note each meal for each day. They also have magnetic whiteboards that are great because you can reuse them. Amazon has a ton of meal planners on sale right now. You can also get a weekly meal planner free printable. Just do what works best for you and your family. I have even some people use chalkboards to menu plan. Those are cute and very practical as well. There are lots of options for you to choose from. 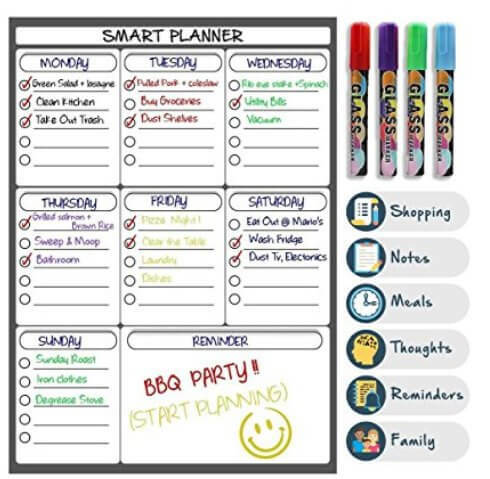 You could even pick up a dry erase board at Dollar Tree and write in the days. It doesn’t have to be fancy or expensive to get the job done. What is your favorite way to keep up with meals? 8. How I saved over $150 on Meat without coupons! 15. Couponing 101: What is a stockpile and Why you need one! 20. How to Organize Your Pantry – 17 creative ways! 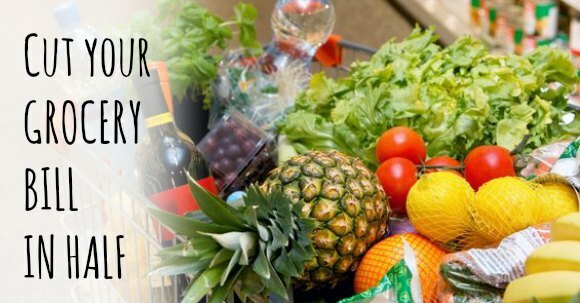 You will be a pro in no time and know how to save money on groceries by menu planning! Now that you know how to save money on food by meal planning, your budget will look great! Learn all the tips and trips with extreme couponing for beginners!Never pay full price again once you find out how to become an extreme couponer. Once you get the hang of meal planning and shopping according to sales, it will be easy. Everyone has their own tips and tricks that work for them. Find what works best for you and go with that. Remember that what works for one family may or may not work for another. Schedules, activities and work all can bring varying factors to a meal plan. Once you find what makes things flow the best for you, go with it! You will be saving money in no time at all! 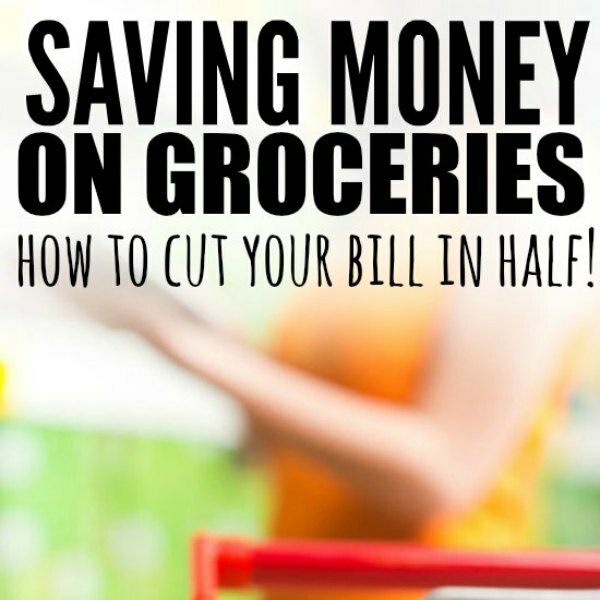 Learn How to save money on groceries by menu planning today! You can also save money by learning how to shop at Family Dollar. Get all the information and learn how to understand the Family Dollar coupon policy. Learn how to sell clothes online that you and your family no longer wear.